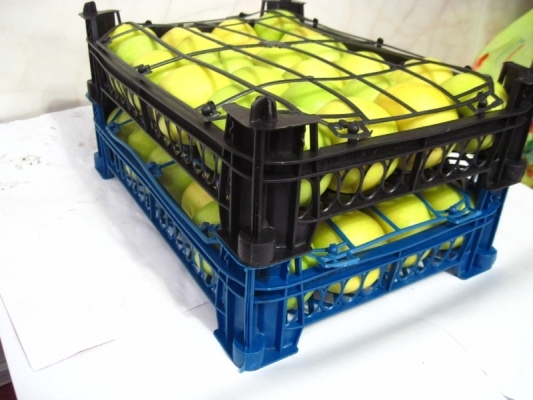 Golden Delicious is another apple type which in comparison to Red Delicious apples is a little sweeter. This apple type is juicy and has a crispy texture. 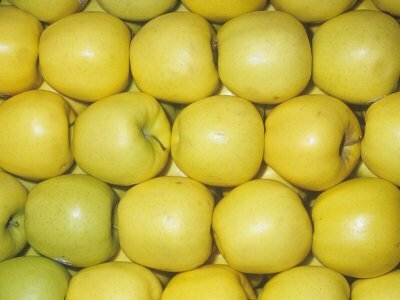 Regarding its shape, Golden Delicious is fatter and rounder than Red Delicious apple type. 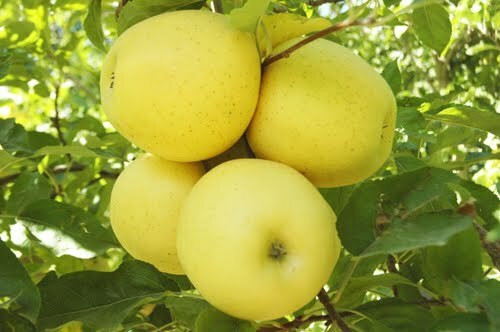 Also, Golden Delicious apples are mostly used for baking, making apple sauce and especially salads because they have a stable texture and do not turn brown quickly.